Gag reflex or formally known as the pharyngeal reflex or laryngeal spasm is the sudden reflex of the back throat to help us in preventing from choking negative substance that might be harmful. When it is being triggered, the muscles may suddenly react and it might cause the contraction in your throat to cancel the toxic particles. This is the reason to prevent us from swallowing any substance and can cause uneasy breathing. Some say gag reflex is triggered because of physical factors; some are psychological like your anxiety. More so, the severe gag reflex is not helpful as what we think, especially to the dentists who are working on your teeth to be cleaned. The gag reflex is involuntary and difficult to stop when it occurs. It is difficult for the dentist and the patient to deal gag reflex when it is in between the dental procedures. This might affect the aftermath of your teeth. Be informed about these types of gag reflex to help you find out if you have experienced it already. Absence Gag Reflex. The absence of gag reflex is described as the feeling of no impulse or sudden reaction to throw up, even though there is a particle that passes through the soft surface in the mouth down to the throat. These are common causes when the person is brain dead, or there is an issue on the vagus nerves and any other damages on the nerve cells that neglecting the one’s choking reaction. Hyperactive Gag Reflex. The hyperactive gag reflex is the opposite of absence gag reflex. By the term itself, it is a high and sensitive reaction in the throat when any substances are passing through from mouth down to pharyngeal nerves. For instance, If the person has a hyperactive gag reflex, it may cause sudden throw ups even though it is a slight encounter around the sensitive tissues, resulting to choking and throw up more. More triggered hyperactive gag reflex includes dental procedures in long-term process. If you are having a hard time on your gag reflex, before you go on dental procedures make sure you will inform your dentist. So that they can use treatments on it, also you can proceed to your oral treatment. Try to figure out first the gag reflex abnormalities on this section so that you will easily know it before your procedure and possibly avoid it. 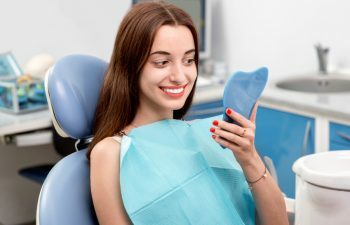 Need restoration of a chipped tooth in Napa? We at Alora Dentistry got you covered! Contact us at (707) 226-5533 to book your appointment.